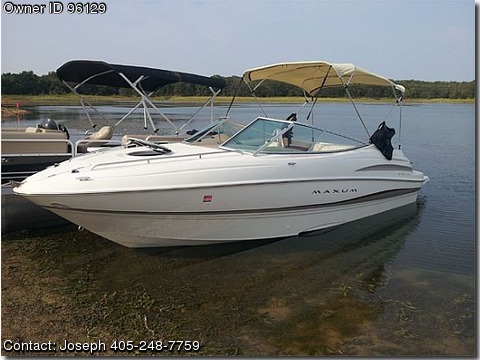 Please call boat owner Joseph at 405-248-7759. Nice large boat with aftermarket swim platform adding another 26 inches to overall length. Full cockpit inclosure, bimini top, hydraulic trim tabs. Small tv and dvd player in cuddy cabin. Sink and lots of storage in cuddy. Cockpit is in excellent condition. Boat runs great only 150 hrs on motor never any mechanical issues.